8,627 sf available on the upper level in 28,000 sf building. This is a shell space ready for tenant build out. 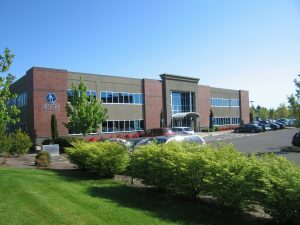 Building is located in a 13-acre office park on Salem Parkway with easy access to I-5 and downtown, with bridge system to Polk County and the beaches. Located on a 13-acre office park on Salem Parkway. Full service, excluding janitorial. $1.75 sq foot per month.